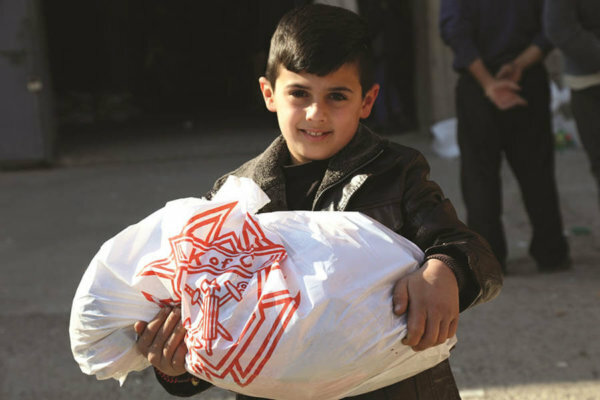 NEW HAVEN, Conn. — As part of its ongoing support of persecuted Christians in the Middle East, the Knights of Columbus committed more than $1 million to Iraqi and Syrian Christians for Easter. Announced during Holy Week, the support includes $800,000 in new financial assistance and $250,000 as part of its ongoing commitment to rebuilding an Iraqi Christian town. The funds will help with food, clothing, shelter and education for Christians targeted by Islamic State militants. “As we recall the passion, death and resurrection of Jesus, it is particularly timely for us to remember and support our brothers and sisters in Christ who have, in places like Iraq and Syria, endured so much persecution for their faith,” said Knights of Columbus CEO Carl Anderson in a March 27 statement. “Having faced suffering and even death at the hands of ISIS, we hope that our assistance will help these communities to rise up again and rebuild for the future,” he added. A news release said that with the $800,000 in new funds, the Knights of Columbus has committed almost $19 million to date in aid to Christians and other religious minorities in Iraq and Syria since 2014. That total includes $2 million committed to the rebuilding of the predominantly Christian town of Karamles in Iraq’s Ninevah Plain. Karamles had been overrun by ISIS, which destroyed homes and desecrated churches before the town was liberated last year. “Our people know that without the direct support from the Knights of Columbus to Christians in the region, and without its assistance in making our case to the United States government, Christianity might already have been driven out of Iraq completely,” said Chaldean Catholic Archbishop Bashar Warda of Irbil, Iraq. Of the $800,000 from the Knights, about $500,000 will help support the food program run by the Catholic Archdiocese of Irbil. An additional $300,000 will be sent to the Syriac Catholic Patriarchate to support its aid programs for the nearly 3,000 families from Iraq and Syria who have lost everything and are in need of assistance with food, clothing, shelter, and access to education and medical care. Baltimore Archbishop William E. Lori, grand chaplain of the Knights of Columbus, has spoken out frequently in support of religious freedom in the United States and around the world. Editor’s Note: The Knights’ website www.ChristiansAtRisk.org has more information about the fraternal organization’s efforts on behalf of persecuted Christians in the Middle East.